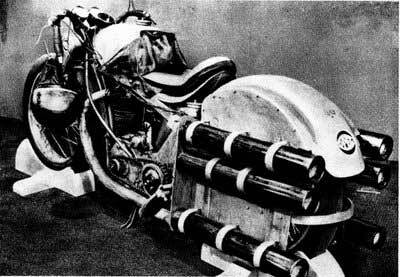 From crazy Germans of the 1930's to record-breaking speed-demons of today, motorcyclists have always had a fascination with rocket-powering their engines. And who can blame them? Feeling the rush of the extreme acceleration while seeing the smoke and flames burst from the tailpipe is a high that few of us have experienced, yet all of us have imagined. Here we provide the first comprehensive guide to rocket cycles past, present and future. 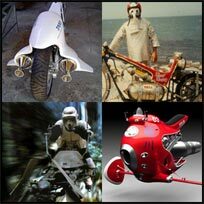 See thrill-seeking Germans as they kick-start the sport, champion daredevil Evel Knievel point his rocket cycle skyward, and Hollywood visionaries dream of a somewhat-goofy rocket-powered future.